Festival 2019 will be bigger and better than ever before! Now in its 50th year, the Arklow Music Festival is a celebration of both arts and music that is held in March each year in Arklow Co. Wicklow. The Festival is noted one of the biggest musical and artistic festivals in the country that gives individuals the opportunity to showcase their skills and talents in front of professional adjudicators. It has been described in The Encyclopaedia of Music in Ireland (2013) as “a competitive gathering that features categories in choral, orchestral, solo, instrumental and compositional categories in addition to speech and drama”. It is now believed to be one of the largest events of its kind in Ireland. Held over nine days in a variety of venues around the town, it offers a great opportunity for any budding performers, musicians and artists gain professional feedback in a completely constructive environment. The festival regularly brings over 6.000 participants to compete in plethora of competitions annually, offering a variety of trophies and other prizes, with the overall Festival winner winning the Wadden Bursary Award of €500.00 for the most outstanding performer. The festival is proud to recruit some of the most well respected, trained and experienced artistic professionals from around the country and abroad to adjudicate in the wide variety of competitions. 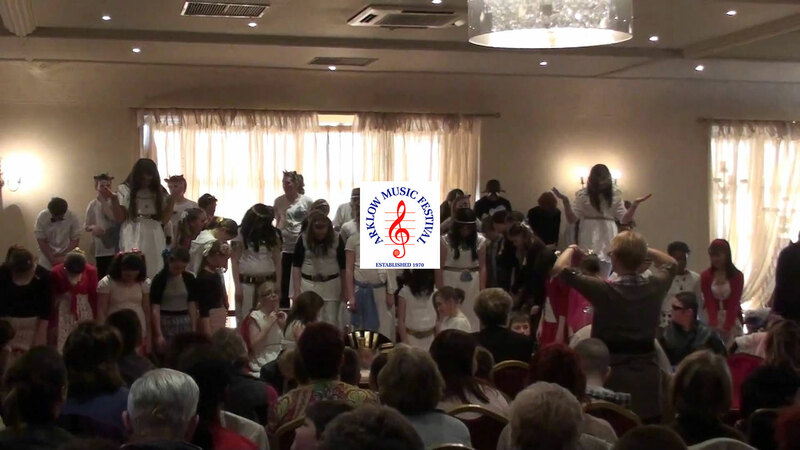 Over 150 different competitions have been held during the long history of the festival, with yearly competitions including Spoken Verse, Dán Gaeilge, choral competitions and a wide variety of musical categories. The festival is held each year in the first few weeks of March and serves as a great “trial-run” before the Feis Ceoil a few weeks later. The town itself is situated less than an hour south of Dublin on the M11 and is serviced by a number of public transport service links. There is a wide variety of restaurants and other facilities in the town which are always welcoming to those that come to participate in the festival. Perhaps the greatest aim of the festival is to engage with those that come and enjoy the festival so it can continue to grow year-on-year. This Perpetual Award will be presented to the individual or group, who in the Music Section is deemed to have given an outstanding performance. The Award will be presented at the Prizewinners’ Concert on Sunday, March 10th 2019. This Perpetual Cup will be presented to the competitor showing the greatest potential as a performer in Competition No 74 to 77 and 80 to 81. Competitors will not be asked to repeat their performances for this award, which will be presented at the Prizewinners’ Concert on Sunday, March 10th 2019. This Perpetual Cup will be awarded to the Choir in the Primary School Section which, in the opinion of the adjudicator gives an especially meritorious performance. The Award will be presented at the Prizewinners’ Concert on Sunday, March 10th 2019. This Perpetual Cup will be awarded to the Choir in the Post Primary School Section which, in the opinion of the adjudicator gives an especially meritorious performance. The Award will be presented at the Prizewinners’ Concert on Sunday, March 10th 2019. This Perpetual Cup and Cash Award will be made to the competitor in Solo Singing competitions, under 18 years. (Competitions No.s 1 - 8) deemed to have given an especially meritorious performance. Festival Office, Kearon’s, Castlepark, Arklow, Co. Wicklow. FESTIVAL DIRECTOR: John Bonner, B.Mus., M.A. © 2018. Designed By Clever IT Systems.